Life Hacks to do on Sunday to Eat Healthy All Week! While everyone wants to eat healthy during the week, most of us find it too time consuming and difficult after a hard day’s work. So we opt for the drive thru or hit up on whatever is in the kitchen, like cereal or frozen dinners. The trick to eating healthy all week, without spending hours in the kitchen or shopping three times a week, is to simply spend a little time on Sunday prepping food for the rest of the week. You can stock your freezer and fridge with food that takes only minutes to prepare! Not only will you be eating healthy, you will be saving tons of money! 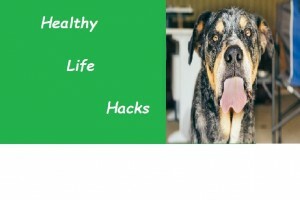 We are going to share a few of our life hacks for eating healthy all week so keep reading! Everyone loves a snack, but munching on a carrot just doesn’t do the trick sometimes. Make your own “to go” snacks ahead of time. Get out some small jars that have lids. 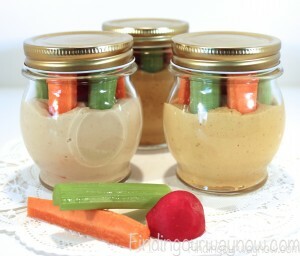 Fill them about half way with hummus or yogurt, then cut up some finger sized veggies, such as carrots, celery, even sugar peas! Put the lids on and when you head out the door in the morning, grab one of those puppies for some delicious snacking later on. Another terrific alternative is to put some berries, such as blackberries or blueberries, in a baggie with a handful of nuts. 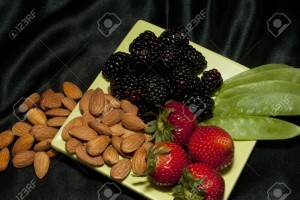 A half a cup of berries and one handful of nuts should make a terrific snack that you can take anywhere! Yes, we mean beans! Don’t buy canned beans, cook them yourself on a Sunday afternoon or overnight on Saturday in your crock pot! Beans keep well in the fridge and can be used in just about anything, including wraps, burritos, soup, salads, or mixed in a bowl with some veggies or quinoa. If you love eggs, but rarely have time to make them in the morning, boil a dozen (or half dozen, depending on your love for them and the size of your family) on Sunday. Eggs are super versatile and full of protein! 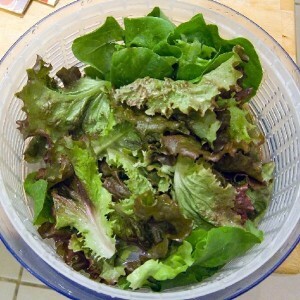 Slice them in your salad, eat them just as they are (with a little salt) as a snack, make sandwiches, and so much more! Just be sure that you mark them or put them in a different container so you don’t get them confused with your raw eggs. The problem most people have when it comes to veggies is the time it takes to prep them. So while your beans are cooking, why not wash, chop, and prepare your veggies? 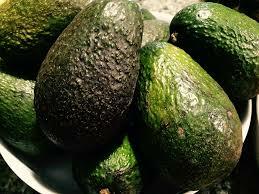 Put each one in a separate container with a tight fitting lid and you should have enough to last at least 5 days. 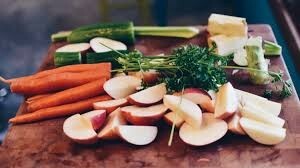 Of course, if even the thought of all that cleaning and chopping sounds like too much work, you can always buy a veggie party tray at your supermarket and keep it for yourself! For versatility, you cannot beat chicken. You can buy a whole one already roasted, or roast your own in a matter of hours. 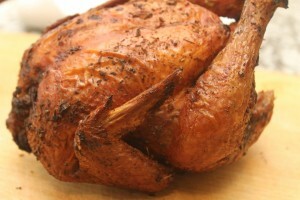 Chicken can be used hot or cold, in salads, sandwiches, as a side dish for your veggies, you name it. Save the bones and you can also make up a pot of chicken and vegetable soup next week! You can freeze some of the meat for next week, not to mention that if you make soup, it also freezes like a dream! Double time saving tip: Cook some vegetables with the chicken and kill two birds (so to speak) with one stone! Breakfast doesn’t get much easier than this. Beat a few eggs in a bowl. Add some chopped up vegetables of your choice (try corn, peas, diced carrots, or even potatoes), pour into muffin tins and bake at 375 degrees for about 18 to 20 minutes. If you aren’t using silicone tins, you should spray them with a non-stick vegetable spray. These keep for a week in the refrigerator or you can freeze them. 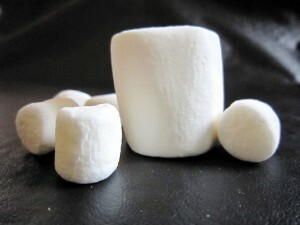 Eat them cold or pop them in the microwave for a minute or two and you have a breakfast you can eat on the train. Eating healthy means lots of veggies. By cooking them ahead of time, all you have to do is reheat and you can have a meal, literally, in minutes. Cut up your favorite veggies, such as broccoli, cherry tomatoes (those can be whole or cut in half), zucchini, asparagus, and/or cauliflower. Put them in a large bowl and drizzle with a bit of olive oil, salt, and pepper. 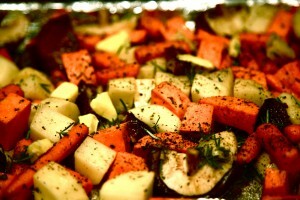 Put the veggies on a cookie sheet and bake at 425 degrees for about 40 minutes. Stir them around every 15 minutes or so. Once they cool, put them in a big plastic container with a lid and you can serve yourself all week long. Another terrific and healthy staple is rice and/or quinoa. Cook up a big batch of either (or both) and you can, literally, make hundreds of dishes with them. Think fried rice, salads, side dishes to your roast chicken, you name it, these two can handle it. For those of us who should (or want to) eat a salad for lunch, but don’t want to spend $8 to $10 bucks so we buy a burger for a buck, this is for you! 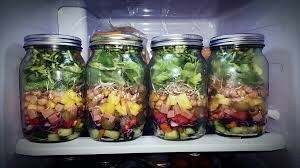 Get out those Mason jars and get ready to mix up a lunch time salad you can take to work any day for less than a dollar. Put your dressing of choice on the bottom of the jar. This will prevent your salad from becoming mushy. 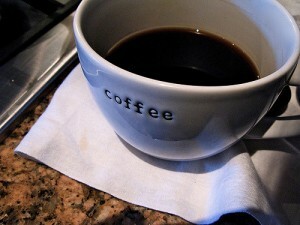 Start with ¼ of a cup. You can always adjust your next salads with a bit more or a bit less, depending on your taste. Now add heavy ingredients, such as beans, onions, radishes, cucumbers, anything that won’t get soggy sitting in the dressing. Next, add your greens such as kale, spinach, chard, romaine, etc. Now add accent items, such as nuts, croutons, or raisins. On top, add a little nice touch, such as an edible flower or a few slices of cheese or egg. That’s it! Put the lid on it, and you are good to go! 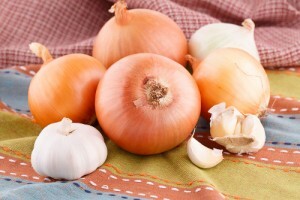 Keep these refrigerated and they should last 5 to 7 days. Pour the salad out into a bowl and there you have it! There really are no hard and fast rules for these, so use whatever ingredients come to mind. Eating healthy isn’t hard with a little planning. Do you have any tips or tricks that you like to use to eat healthy during the week? We would love to hear your ideas!